Rumors about Apple’s upcoming 2018 iPhone models are beginning to come out of the Asian supply chain, and the latest whispers are about a flagship handset that while boasting a next-generation 6.5-inch OLED display, is said to be the same size as the current iPhone 8 Plus. According to a report from Japanese blog Mac Otakara on Monday, rumors circulating in Apple’s supply chain suggest the company plans to shoehorn the oversized OLED panel into a chassis with dimensions nearly mirroring that of iPhone 8 Plus. 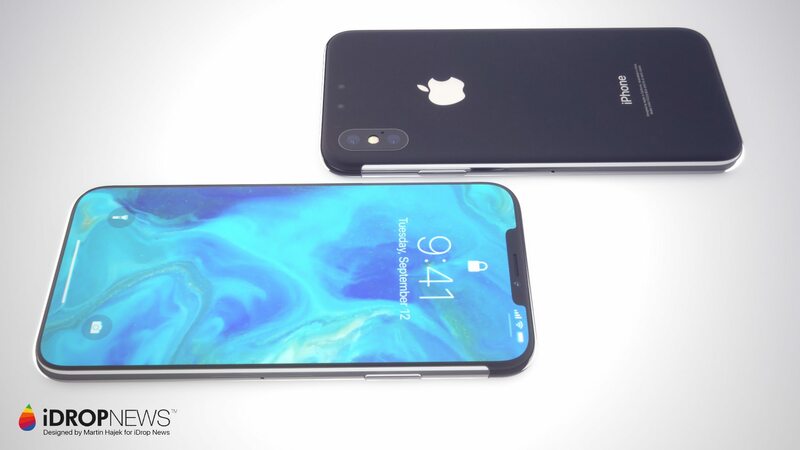 The largest of three new iPhones anticipated to launch this fall, the 6.5-inch “iPhone X Plus” is expected to feature an iPhone X design with edge-to-edge display and Face ID technology. Nixing the “chin” and “forehead” areas that on models like iPhone 8 are dedicated to the Touch ID home button and ear speaker, respectively, Apple makes room for a vastly enlarged touch panel. The claims are in line with rumors first aired in February. The report indicates the new flagship device could be 0.2mm thicker than the existing handset, in order to accommodate a vertically stacked rear-facing camera setup. Also mentioned is an upcoming 5.8-inch display iPhone X successor, that is rumored to sport a chassis that is identical to the current “X” model, but sporting a slightly larger rear camera lens that will allow for a bigger camera sensor. Both iPhones are rumored to boast enhanced Face ID authentication capabilities, allowing for multi-position recognition capabilities. The change could allow users to unlock their device and authenticate various functionality while holding the device in the horizontal position. Currently, the device must be held in the vertical position to operate. A final bit of gossip about upcoming devices is another rumor that the low-end iPhone model will rely on LCD technology. Some sources indicate the device’s display panel could measure in at 6-inches, not 6.1-inches as previously rumored.